Are you a fan of deck building card games? 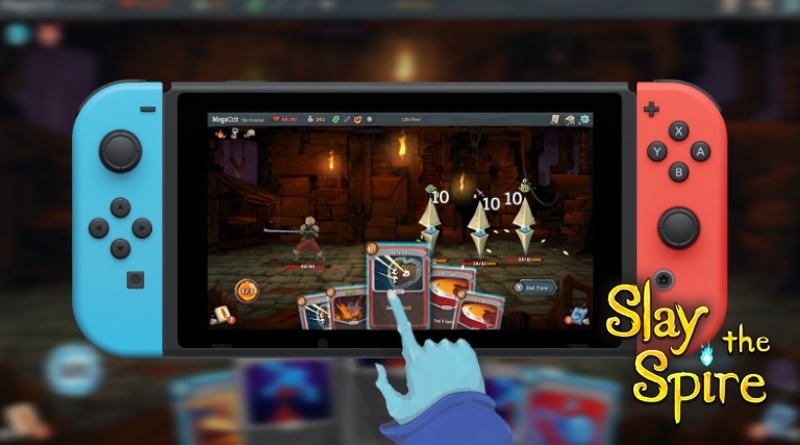 If so, Slay the Spire might just be the Switch game for you! This one has sold over a million copies on the PC and now it’s coming to the Switch in early 2019. It will feature touchscreen and Joy-Con controls so you can play however you like. Check out the video for the PC version below as well as some Switch screens! Mega Crit and Humble Bundle are excited to announce that Slay the Spire is coming to Nintendo Switch in early 2019! Slay the Spire has already sold over 1 million units on PC, and we cannot wait to bring the card/roguelike title to Switch! The Switch version will feature all content from the PC version including currently unreleased content. Fans will have the option to play with a controller or touch controls, enjoying new accessibility and portability options thanks to the Switch’s unique hardware.